Who can deny the power of rap music's reach? Last year alone, hip-hop albums dominated the yearend sales tallies taking three of the five top spots! The best-selling soundtracks are mostly rap-driven, and the contributing artists are quickly becoming the film's leading men. Today's rapper possesses an authoritative ability to connect and influence fans in areas ranging from fashion and flare to guns and gangs. Yet as a true lyrical purist, the red-hot VERBS cherishes this privileged platform where he can unleash the potent rap morsels that charge his life-affirming hits. Previously performing as Knowdaverbs, this rapper with the new shortened tag already made his life joints known by co-hosting BET’s Rap City, appearing on Jam Zone, and performing on the televised Teen Summit Live. Through group and solo performances, VERBS opened for such mainstream hit-makers as Jay-Z, Outkast, A Tribe Called Quest, Camp Lo, and De La Soul. In hip-hop circles, VERBS is known as the rapper ready to pop, but this emcee comes to the mic with a whole lot more than mere talent. 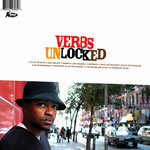 VERBS' latest, UNLOCKED, delivers on potential proudly promised in previous releases. Throughout the twelve new tracks, energy and attitude collide into dance-driven grooves programmed to perfection with chunky beats and catchy loops. The bangin' bass and hit-maker hooks serve only to amplify VERBS' crisp and clever rhyme style that makes his flow as credible as it is commercial. Artistically bold yet radio addictive, UNLOCKED raises the bar for life-minded, spiritually-guided emcees pushing for new heights of hip-hop savvy. In fact, Gotee Records previewed the new album several months early by dropping the single "What You Rock Now" at radio—the immediate hit topped R&R's ccm Rhythmic chart for 11 straight weeks. VERBS’ label soon followed-up with a second pre-release single—the addictive “Live To The Music.”—and for only the second time in the Rhythmic chart’s ten year history, a song DEBUTED at #1. Thus UNLOCKED boasted two #1 singles before the album even released! Still, for all the credit given for how he says it, VERBS is equally esteemed for what he says. Ever reflecting on daily life, VERBS is a true hip-hop storyteller sporting a narrative rap style that tackles issues in a problem-conflict, solution-resolution manner. The track "She's Mis.Sin" uses relationships as a paradigm for how the enticed often become the enslaved, while "My Neighborhood" rewards real people with due credit for making the type of lifestyle changes that matter. With "Expensive," GRITS and Nirva Dorsaint join VERBS on an industrial-sounding bounce track that hammers home the consequences for wayward decisions people know they shouldn't make. "By writing about issues that aren't status quo, it gives me a different edge in the rap world," says VERBS, who's currently in the midst of an extended stay in Africa doing outreaches with a local church. Looking back, VERBS (his traffic tickets read: Michael Boyer II) first attained national exposure through his Gotee Records' labelmates GRITS, whom he met on tour in his home city of Phoenix. The following year, VERBS brought the group back for a show, and GRITS in turn asked the young emcee to appear on their debut disc. One of their collaborations, "Plagiarism," made noise at radio as its video hit number eight on Rap City's Top 10 countdown. Moving to Nashville, VERBS continued to collaborate with GRITS, but the talented wordsmith soon landed his own record deal with Gotee. 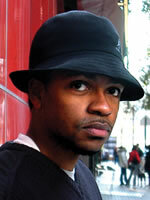 VERBS dropped his 1999 solo bow SYLLABUS to much fanfare and hype, which included the title track giving the rapper his first number one on the ccm Rhythmic chart. Offering uplifting ideals through quality jams, VERBS soon aligned himself with several spiritually-minded organizations like YES (Youth Entertainment Studios), Project Truth, and True Love Waits. VERBS likewise participated in a national anti-violence campaign that put him before 80,000 public school system kids in such major market cities as Los Angeles, Dallas, and Milwaukee. In an age when City Councils resort to Gang Injunctions and Broken Windows criminology to curb violence, VERBS spoke from the heart about affecting inner-city kids by example. "From an artist standpoint, we need to be a little more responsible about what kind of images we give these young people," says VERBS. "I think an emphasis should be placed on giving the cats something else to pour their energy into that would result in taking these kids somewhere in life." VERBS' 2000 release, ACTION FIGURE, scored further radio hits with "If I Were Mayor" and "Plane Scared," yet in the new millennium VERBS started using his life-inspiring jams to affect third world and war torn nations. With various aid groups, VERBS performed in such countries as Russia, Slovakia, South Africa, and Kosovo. 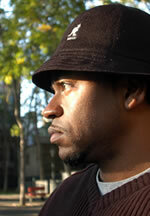 He remarks, "No matterhow remote a place might seem, there are still traces of hip-hop influence. Regretfully,the music we export isn't always the music that instills hope in the hearts of Kosovarkids." From inner-city school kids to impoverished Slavic nations to post-apartheid African communities, VERBS' life and music put as much emphasis on skill as they do on heart. All of these passions and abilities manifest themselves through his latest joint, UNLOCKED, one of the most far-reaching, life-inspired hip-hop albums in years. Now with the buzz brewing and his rhymes ready to rock, VERBS knew there was one last task at hand. "A lot of folks couldn't pronounce Knowdaverbs," the emcee laughs. "Either that or they thought I was a group. With the new album, I decided it was time to give these people a break and officially change my name to VERBS!"